Brueggeman Chiropractic Center has recently moved into a new facility with more treatment rooms and greater accessibility to better help our patients. We have two chiropractic adjusting rooms featuring adjusting tables for both traditional chiropractic adjustments and newer, more gentle, chiropractic adjustments. Our therapy room offers two tables for muscle stimulation, ultrasound, and hot/cold therapies. 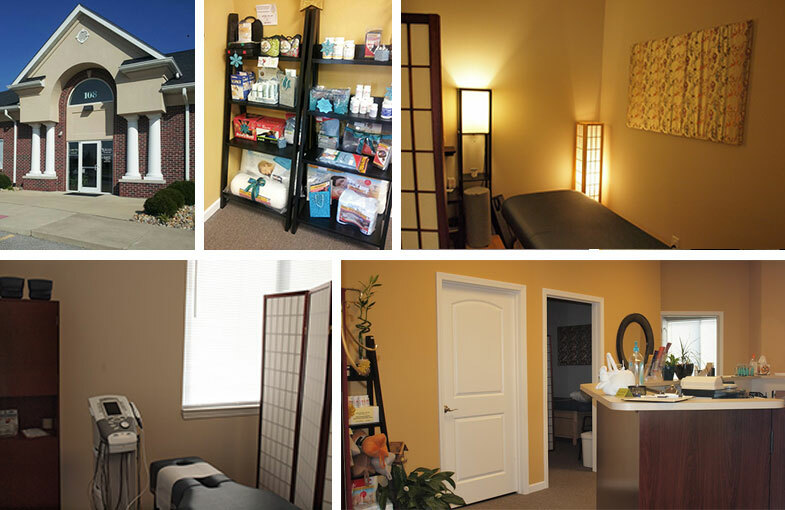 We have a dedicated acupuncture treatment room specifically for our acupuncture and auriculotherapy treatments. Additionally, we provide specific muscle stretching, trigger point work, and Kinesio taping.